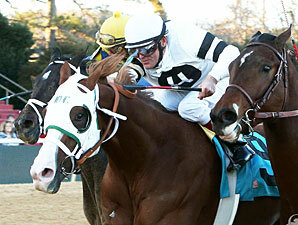 Will Take Charge won the Smarty Jones Stakes on January 21 at Oaklawn. Willis Horton’s Smarty Jones Stakes winner Will Take Charge looks to continue his progress on the road to the Kentucky Derby Presented by Yum! Brands (gr. I) against nine others in the $300,000 Southwest Stakes (gr. III) Feb. 18 at Oaklawn Park. 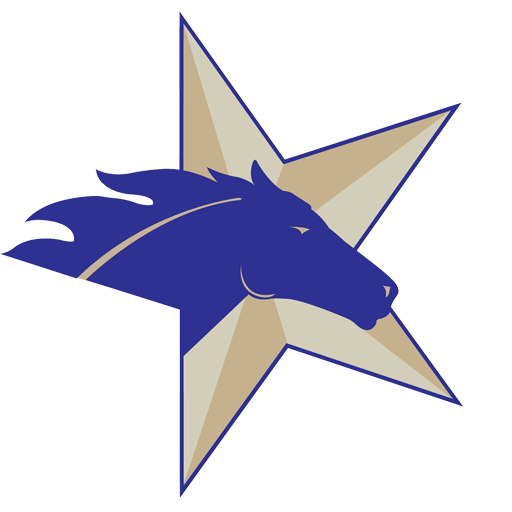 The 1 1/16-mile event is worth 10 qualifying Derby points to the winner; Will Take Charge already has 10 points from his victory by a neck over Texas Bling in the one-mile Smarty Jones Jan. 21. Will Take Charge, by Unbridled’s Song , is a son of multiple grade I winner Take Charge Lady, the dam of 2012 Florida Derby (gr. I) winner Take Charge Indy . He will be joined in the Southwest by stablemate Channel Isle, winner of a one-mile allowance event at Oaklawn Jan. 26 for Brad Kelley’s Bluegrass Hall. Will Take Charge carries high weight of 122 from post 3 under Jon Court while Channel Isle departs the 9 hole under Israel Ocampo and 117. Both are trained by Hall of Famer D. Wayne Lukas. Hall’s Family Trust’s Texas Bling also exits the Smarty Jones hoping to progress after a game runner-up effort. The Texas-bred son of Too Much Bling , conditioned by Danele Durham, pressed the pace last time out and took the lead heading into the second turn only to be outkicked by Will Take Charge’s move from third. Jockey Cliff Berry will be in the saddle from post 4 as part of a 119-pound impost. More runners who contested the Smarty Jones last out include Always in a Tiz (third), Brown Almighty (fifth), and Officer Alex (sixth). Always in a Tiz ran third by a neck as the beaten favorite after encountering traffic trouble in the Smarty Jones. He returned to Gulfstream Park for training between races but got a work in over the Oaklawn track Feb. 11 when he went four furlongs in :49.85. MeB Racing Stables and Brooklyn Boyz Stables’ Always in a Tiz, who will partner with regular rider Paco Lopez, will also be making the return trip from Florida. “We found out Paco Lopez will be back,” said Carl Allsop, assistant to trainer Dominick Schettino. “People were saying the loss might have been his fault, but that’s not it at all. Right at the break, an assistant starter had left us to go help with another horse. He stood there fine. No problem. That’s his way. But then after they got the other horse loaded, the assistant started to climb back in and it distracted him. He turns his head to see what’s back there and boom they spring the gate. So, he didn’t get out of there the way we wanted. Trainer Lynn Whiting is another blaming a troubled trip—plus shoe problems—for Officer Alex’s finish in the Smarty Jones. Owned by Winning Horse Stable and Choctaw Racing Stable, the son of former Oaklawn superstar Afleet Alex broke slowly and was caught wide in the Jan 21 test. When Officer Alex moved toward the leaders, he was forced four wide and lost a shoe. Officer Alex scored the Pennsylvania Nursery Stakes at Parx Racing and earned high marks from the leading public speed figure providers. Whiting said Luis Quinonez will ride in the Southwest, replacing Stewart Elliott, who had been aboard for three of the colt’s previous four starts including his last race. Brown Almighty was making his dirt debut for Tri-Star Racing, Joe Denson, and Brentin Gasaway in the Smarty Jones; he exited that race with a lung infection, according to trainer Tim Ice. Shipping in from places elsewhere are the Bob Baffert-trained Super Ninety Nine and Michael Maker trainee Fear the Kitten, as well as Heaven’s Runway. Super Ninety Nine won a one-mile optional claimer at Santa Anita Park Jan. 31 by 3 3/4 lengths after taking the lead heading for home in his first start going two turns. The Pulpit colt was second by half a length to stablemate Really Mr Greely in the Hollywood Prevue Stakes (gr. III) last November. He races for Tanma Corporation. Last year, Baffert swept the latter part of the Oaklawn 3-year-old series with Secret Circle and Castaway in two $250,000 divisions of the Southwest (gr. III), Secret Circle in the $500,000 Rebel (gr. II), and Bodemeister in the $1 million Arkansas Derby (gr. I). Fear the Kitten ran third in the Lecomte Stakes (gr. III) at Fair Grounds Race Course & Slots for owner Frank Irvin. Heaven’s Runway, winner of the 2012 Fitz Dixon Jr. Memorial Juvenile Stakes at Presque Isle Downs, exits a third-place finish in the Big Drama Stakes at Delta Downs Jan. 5 for trainer Benard Chatters and owner/breeders K. K. and V. Devi Jayaraman. Big Lute, solid maiden winner by 4 3/4 lengths going six furlongs at Oaklawn Feb. 1 in his debut for trainer Steve Hobby and Alex and JoAnn Lieblong, completes the field.